At the time of your initial visit, your treatment plan will be established along with an estimate of fees. Our patient coordinator will be happy to discuss payment arrangements that will suit your needs. We accept cash, check, VISA, and MasterCard. Financing your plastic surgical care is an option that we gladly provide, please inquire about these services. You will find that there are many financing options that can make your plastic surgery goals feasible. 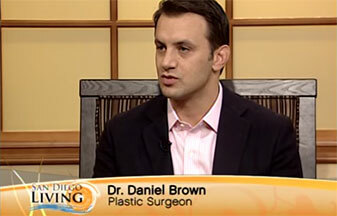 Dr. Brown accepts MasterCard, Visa, American Express and Discover credit cards. We are pleased to offer our patients CareCredit® financing options. CareCredit® allows you the opportunity to achieve your desired cosmetic outcome through convenient monthly payments. We can help you to determine which program will fulfill your needs. CareCredit® is North America’s leading patient payment program with financing options designed specifically for your cosmetic procedure and skin treatment needs. Best of all, CareCredit® offers convenient payment plans and no hidden costs.